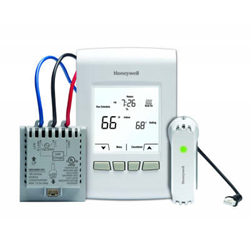 This wireless kit from Honeywell allows wall mounted control of baseboard heat without running any new wires, for more optimal positioning of the thermostat. 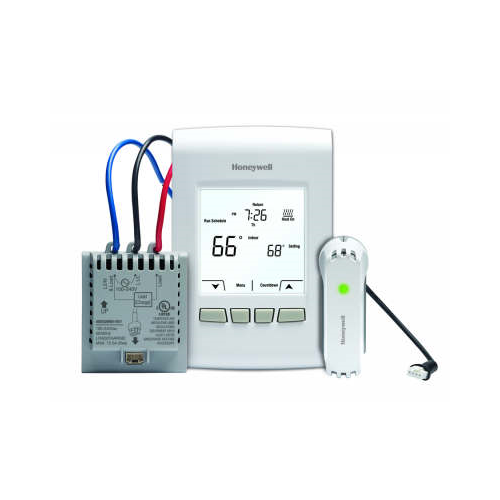 The kit includes a battery powered, wireless programmable thermostat as well as a wired electric heat interface unit that connects to the baseboard supply. Add a THM6000R1002 Internet Gateway to enable remote Internet control via Honeywell's free TotalConnect portal.